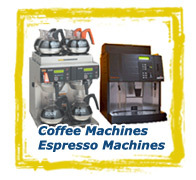 FOODSERVICE CONCEPTS INC. is a full line beverage service company, specializing in coffee and espresso equipment, including installation, calibration, training, preventive maintenance programs and emergency service. 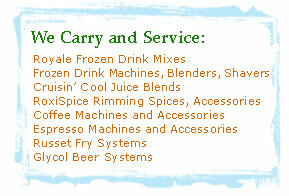 We can also design and supply your water filtration needs. 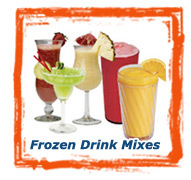 FREEZ-A-DRINK distributes Royale™ Brands frozen beverage products including cocktail, slush, and smoothie mixes, as well as Cruisin’ Cool™ juice products. 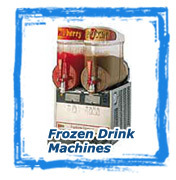 For more information, click on the products below.